The residential property market in Spain is seeing continued growth in the first quarter of 2018 as prices increased overall by 3.8% year on year, with activity led by Madrid and Palma de Mallorca. 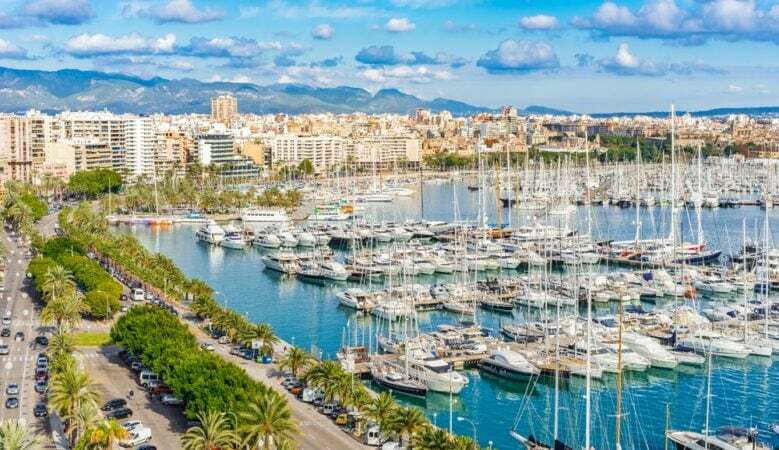 The capital city saw prices increase by 17% in the first three months of this year compared to the same period in 2017 and by 14.7% in Palma de Mallorca, according to the latest index from appraisal firm Tinsa. Prices also increased strongly in Barcelona with a rise of 11% and in Pamplona with a rise of 10.4%. But the growth varies on a regional basis, the index report points out that prices have fallen in three regions, down 1.3% year on year in Castilla-La Mancha, down 0.6% in Extremadura and down 0.1% in Galicia. The highest prices are in Madrid at € 2,159 per square meter, followed by the Balearic Islands at €2,068 while the cheapest property prices are in Extremadura at just €768 per square meter. Meanwhile, the latest index from Idealista shows that asking prices have increased on average by 2.2% in the first quarter of 2018, up to €1,621 per square meter compared to the final quarter of 2017. Virtually all provincial capitals have recorded price increases but the index report explains that strong demand means that the larger markets are growing at a much faster pace than the rest. Prices increased 1.2% quarter on quarter in Barcelona to €4,334 per square meter, a rise of 5.1% year on year but prices in the city are still 8.4% lower than 10 years ago when the real estate bubble burst. Madrid recorded the biggest quarter on quarter asking price rise at 7.8% €3,540 per square meter and year on year prices are up by 21.3%. But they are still 12.3% down on the market highs of 2008. The data also shows that in Valencia asking prices increased by 4.5% quarter on quarter to €1,743 per square meter, and are up 13.3% compared to the first quarter of 2017 but are still 37.8% below their peak. Prices by 5.6% in Granada, by 5.2% in Logrono, while in Malaga they increased by 5%, in Palma by 4.8%, in Valladolid by 3.1%, in Zaragoza by 3% and in Seville by 2.2%. Prices fell by 0.3% in Bilbao, by 0.4% in Badajoz and by 0.5% in Oviedo. Information from estate agents suggest that sales of new homes are also doing well in Spain. Transactions in Madrid and Barcelona are at their highest level since the property crash, according to real estate agency Lucas Fox. New homes accounted for 50% of the agency’s total sales in the two cities and transactions across all Lucas Fox’s offices in Spain increased by 39%. The average price of a home sold by the company during 2017 was €830,000, up from €730,000 in 2016, an increase of 14%. International buyers accounted for 66% of all Lucas Fox sales in 2017, more or less on a par with 2016. UK buyers accounted for 10% of sales and US buyers accounted for 8% of sales, up from 5% on the previous year. Buyers from Scandinavia, the Middle East and Asia were also active in 2017. ‘Falling unemployment, low interest rates and a strong economy have all contributed to the growth in the Spanish property market. Official figures now indicate that the market has recovered from the crash of 2008 with transactions reaching pre-crisis levels in some areas. Overall prices, however, remain below the levels of 2007, offering attractive opportunities for investors across the whole of Spain,’ said Lucas Fox head of operations Rod Jamieson. With Barcelona and Madrid continuing to show positive data for new homes growth in 2017, Lucas Fox is predicting growth in areas such as Valencia and Girona Province, which includes the Costa Brava, during the coming months. ‘We expect that 2018 will prove to be a pivotal year for new developments on the Costa Brava. Last year saw a 25% year on year increase in new sales in Girona Province and we would expect this figure to increase significantly in the next couple of years as developers and investors look to take advantage of market conditions and develop their assets in the region,’ said Lucas Fox partner Tom Maidment. However, he pointed out that despite recent increases in the construction and sale of new build properties, the market is still a long way off the levels during the peak of the market in 2007. ‘In common with other resort areas the recovery of the Costa Brava property market is still some way behind the city markets,’ he added.